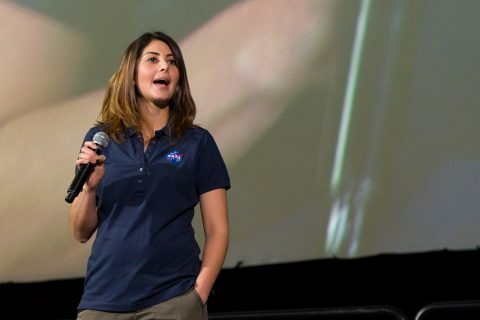 When Diana Trujillo, project lead for NASA’s Mars Curiosity Rover, mentioned that she’s an immigrant from Colombia, the crowd in front of her erupted with applause. 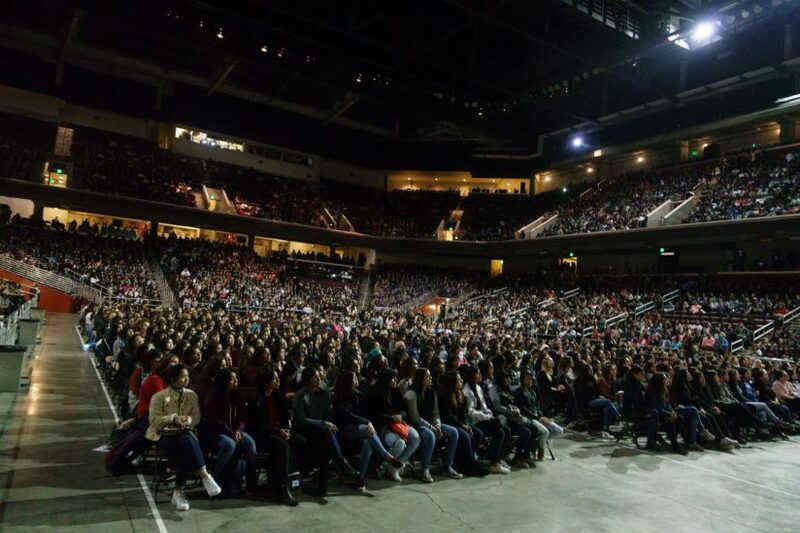 That audience of 8,000 middle and high school girls, mostly of color, had packed into the Galen Center on Tuesday for a screening of the new hit film Hidden Figures. 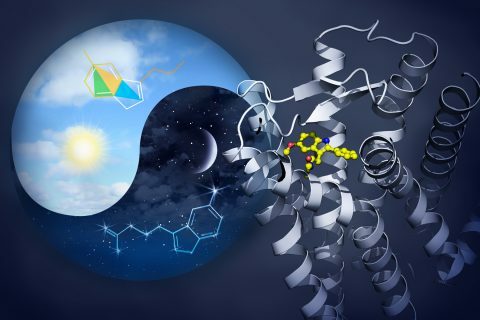 The event doubled as a celebration of women and women of color in science. Seeing Trujillo on stage, talking about putting a robot on Mars, was just one of the many examples throughout the morning of a simple concept tying the event together: Representation matters. 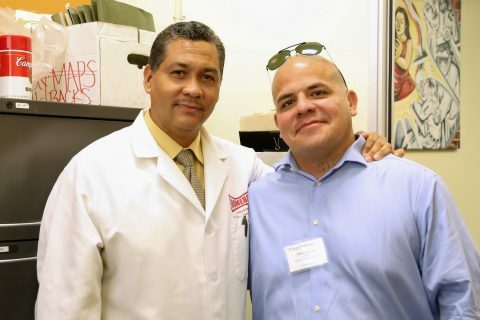 The visitors came from all corners of Los Angeles County for an event organized by the L.A. Promise Fund in partnership with the White House and USC. The pairing of a blockbuster film with displays of hands-on science was meant to energize as many young women as possible to consider the pursuit of an interest in math and science. Hidden Figures is based on the true story of three African-American women who were instrumental in a NASA mission to put a man in orbit. 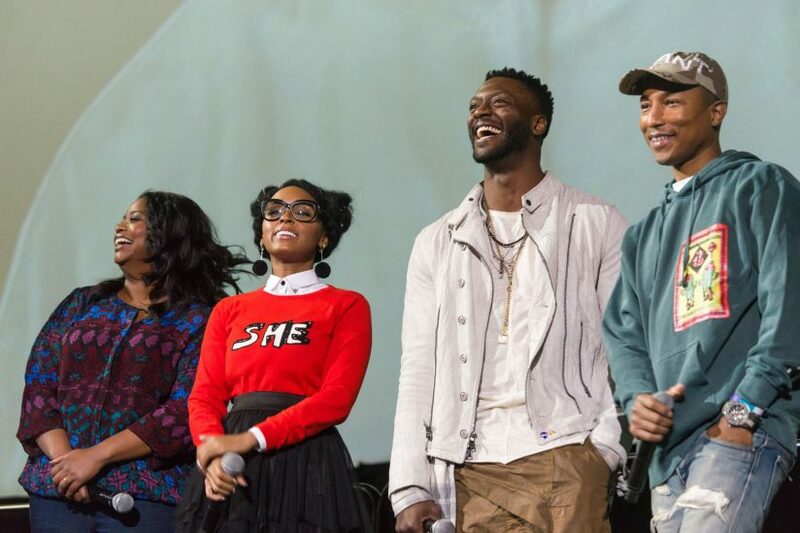 The screening kicked off with several speakers, including scientists like Trujillo and government officials, and it also brought in cast members Janelle Monáe, Octavia Spencer, Aldis Hodge and producer Pharrell Williams. When an opportunity to improve representation comes along, it’s necessary to have events like this screening, said Alan Arkatov, holder of the Katzman/Ernst Chair for Educational Entrepreneurship, Technology and Innovation at the USC Rossier School of Education and one of the lead organizers. We must give students, teachers and parents the relevant tools and information they need to succeed. There’s ample evidence to suggest why it’s important that science, technology, engineering and math outreach makes special efforts involving young women. Recent research has shown that teachers start perceiving boys’ math ability as higher than girls’ as early as kindergarten. And girls and students of color are vastly underrepresented among those taking Advanced Placement science exams. In Nebraska, for instance, 88 students took the AP computer science exam in 2015. Only eight were girls. So what saps the kind of enthusiasm demonstrated at the Galen Center? That’s the type of question that concerns Lindsey Malcom-Piqueux, the associate director for research and policy at USC Rossier’s Center for Urban Education. 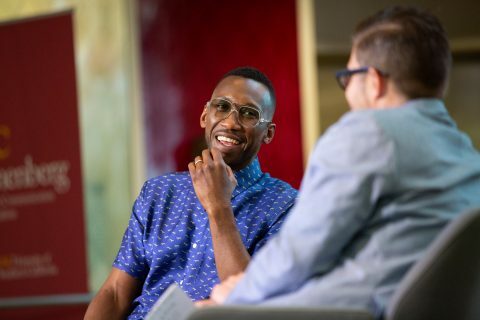 Malcom-Piqueux was once an aspiring planetary scientist herself, but she left her graduate program to pursue a doctorate in higher education after feeling increasingly isolated as a person of color. In her work at USC’s Center for Urban Education, she guides higher education practitioners to improve their understanding of inequities on their campuses. 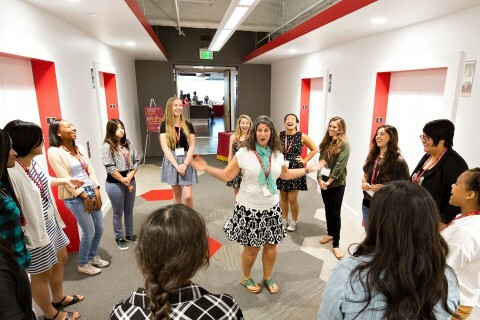 As they streamed through the Galen Center, a dozen teenage girls stopped to watch Allie Gehris explain the work she does at the USC Rocket Propulsion Laboratory. Their eyes fixated on the giant model rocket lying in front of her. When Gehris first came to the USC Viterbi School of Engineering, she struggled to fit in. When she joined the Rocket Lab, there was only one other girl, a senior getting ready to graduate. Four years later, Gehris has become the chief propulsion engineer and is not standing idly by waiting for young women to join. That’s the kind of outreach schools need to be persistent in doing, suggested Laila Hasan, an associate professor of clinical education and K-12 mathematics at USC Rossier. And she said that educators need to help students know that challenges can be overcome and that resources exist to help and that they won’t be alone. It’s an issue Hasan knows well. 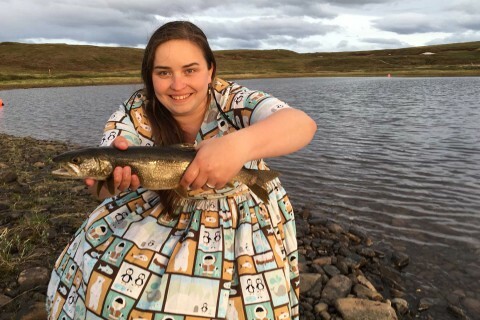 In high school, when she was a self-described “social misfit,” she never had a chance to develop a real passion for the sciences, until a librarian guided her to classes at a local community college. Now she’s helping train new generations of science teachers. USC Rossier and Mattel Children’s Foundation launch STEM curriculum for fourth-graders. USC alumna draws on undersea studies to inspire students from the USC Family of Schools. 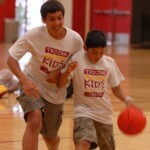 More than 200 campers find daily fun and education at Trojan Kids Camp, which runs until July 27 on the University Park Campus.